These pillows have been waiting for months to be made. Months! 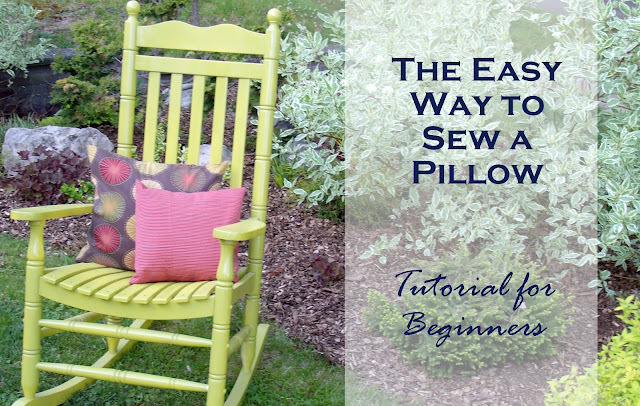 I've shared before how I make pillows simply. You can't get much easier than this tutorial I shared here last year. So what was the hold up? Button-holes. Stinking button holes were the hold up. I hate them. But, my vision for these pillows included pretty, pearly white buttons. I was going to have to get over my fear-distaste for the button-holer gadget of my sewing machine. Finally, last week, after the buttons and fabric stared at me for 6 months - I sat at my sewing machine determined to get 'er done. I had the user manual in my lap and the darn button holer thing at the ready. (And the kids were out of the house.) I was going to do this, even if I hated every minute of it. Then, I had a minor epiphany: Do the button holes even matter? Am I ever going to use the buttons as buttons? Will they look pretty if I just make them my old reliable simple way, and just sew the buttons right on? I used the simple pillow tutorial I shared here before. Then I just sewed the flap shut with the buttons. I love the fabric for a few reasons. It suits my daughter's decor in a lovely way. Plus, I made these from a pair of thrifted pillow shams! I paid close to nothing for them. I even have some pieces of fabric left - that I plan to piece together into another pillow cover. And that pillow cover will be imperfect, but most importantly it will be done. Is there a project hanging over you because you want it to be perfect? Is there a way you can make it "really done" vs "imaginary perfect"? I hate buttonholes too. And done always trumps perfect but I often need the reminder. And the pillow turned out lovely! Haha - yes - I think "going-Rob-Ford" has replaced the old "going postal". I guess we can thank him for that. Regardless of what your taste is, you can attract interest to a plain-colored sofa or sectional sofa with coordinating pillows, bullion fringes, or edge cording along with other interesting details. Or, how about reviving the look of button-back, attached-back, or beautiful soft-back cushions, or maybe even some plump pillows! If you divide the buttonhole into parts (2 sides, 2 ends) then it's just 4 lines of zig-zag joined at the ends to form a skinny rectangle that's the same length as the diameter of the button and the same width as the thickness of the button.